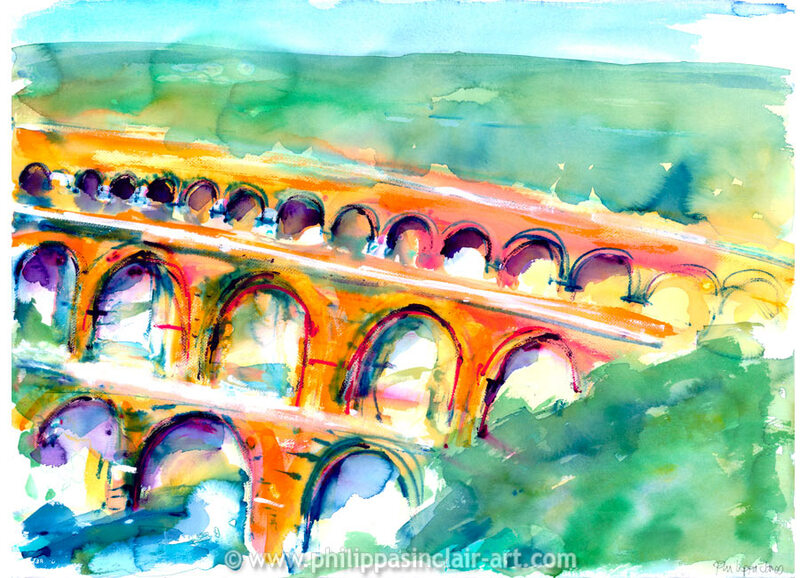 The Pont du Gard is one of the world’s most impressive architectural legacies. It stands majestic and huge guarding the River Gard. Bright brick and russet in colour, I was drawn to the contrasting cobalt of the sky above. The bridge is magnificent from all angles and you can see my two views convey the drama of the site. 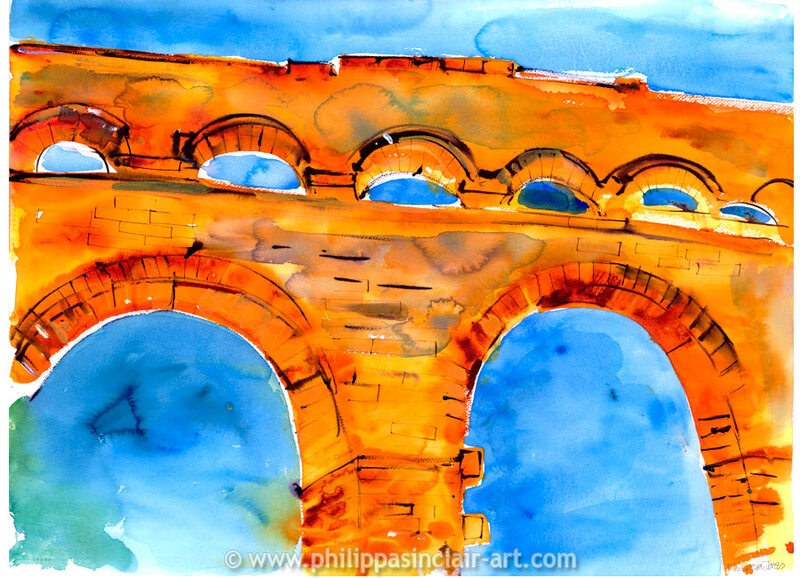 I will be painting the Golden Gate in San Francisco very soon.